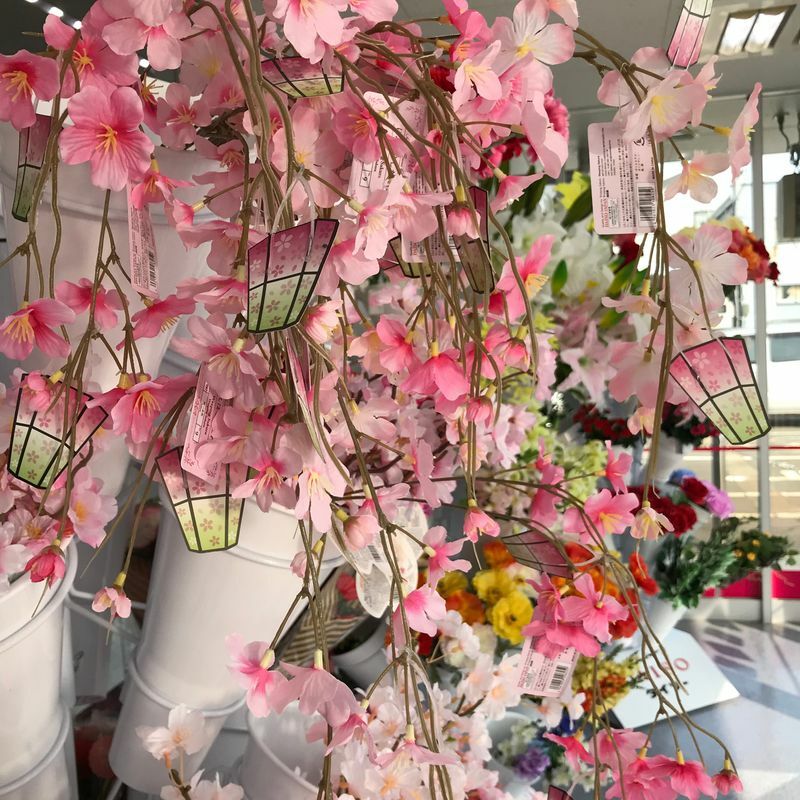 It's that time of year where the sakura are beginning to bloom - and as well as a range of sakura inspired eats and drinks showing up on the shelves, there are plenty of supplies to host your own hanami (cherry blossom viewing) party. 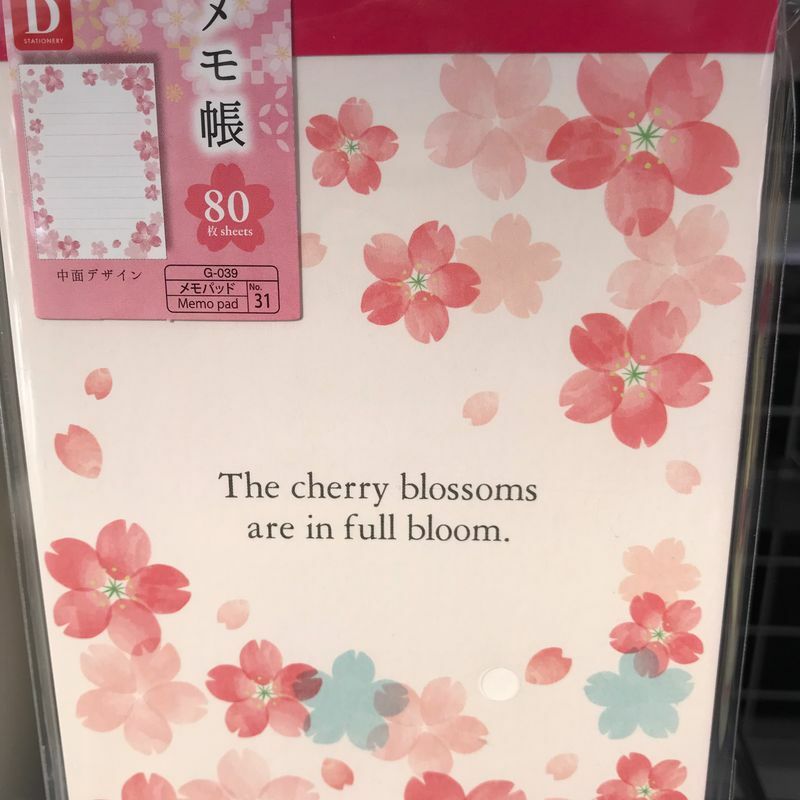 Now, the blossoms are still a while off here in Niigata (we're forecast for around April 10th!) 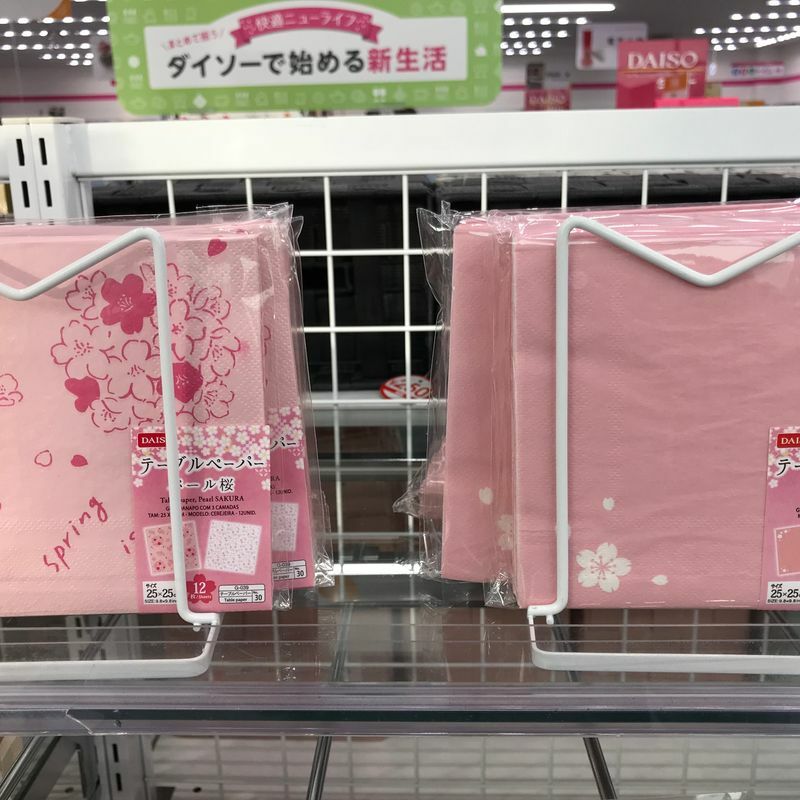 but for those of you who are already planning your picnics, here are some of the sakura wares on offer at Daiso. Or these clear plastic cups in two different sizes. 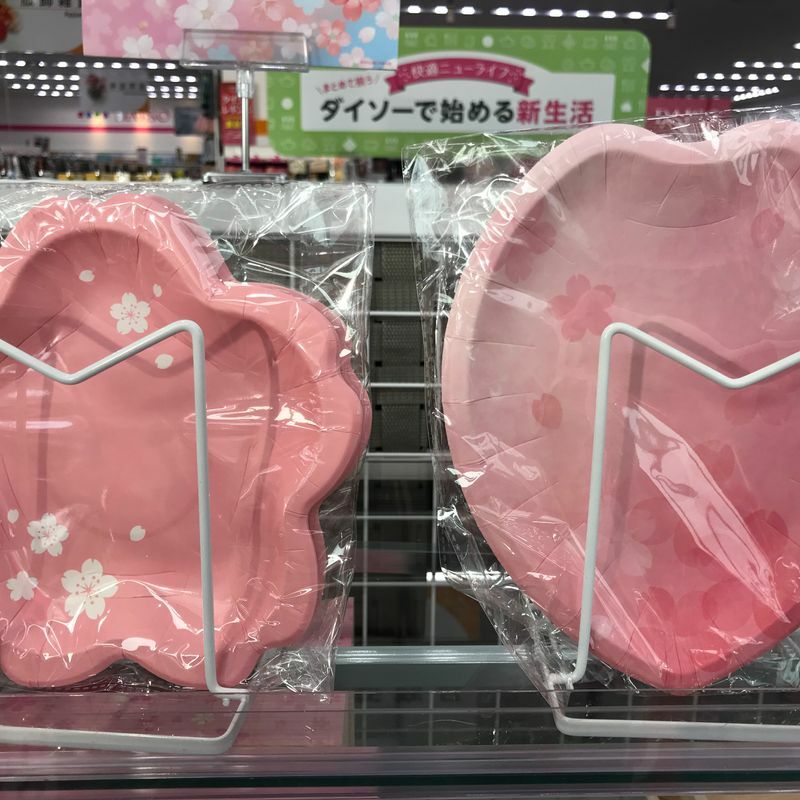 They also had more "blossom" shaped plates as well. Plenty of options! 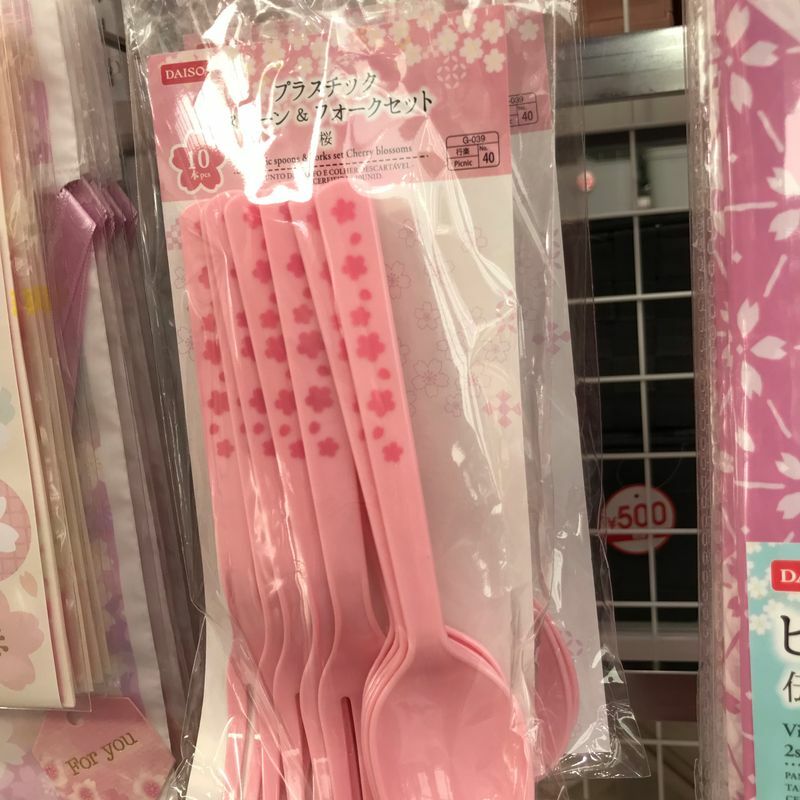 Eating utensils are also available! Perhaps if you're having an event at home where you need actual dishware rather than paper plates then some of these could fit the bill? 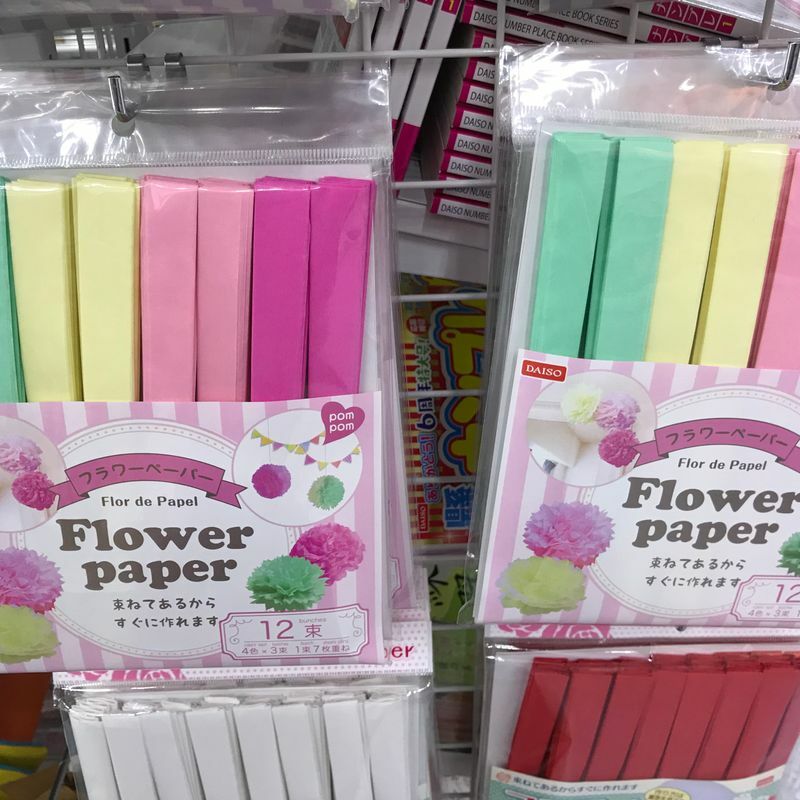 They've even got you covered when it comes to napkins! 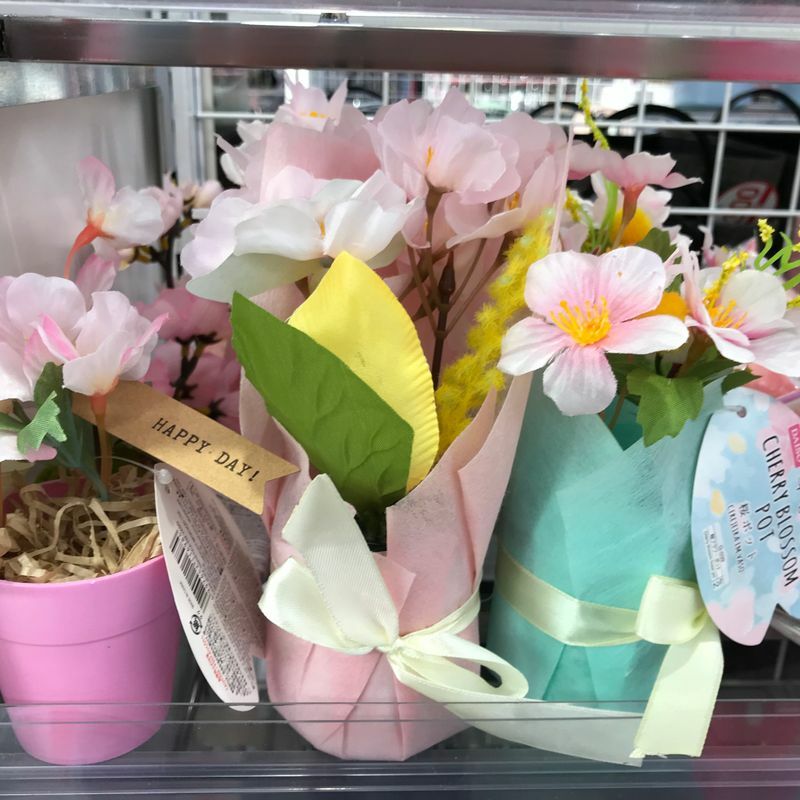 Need a table centerpiece? 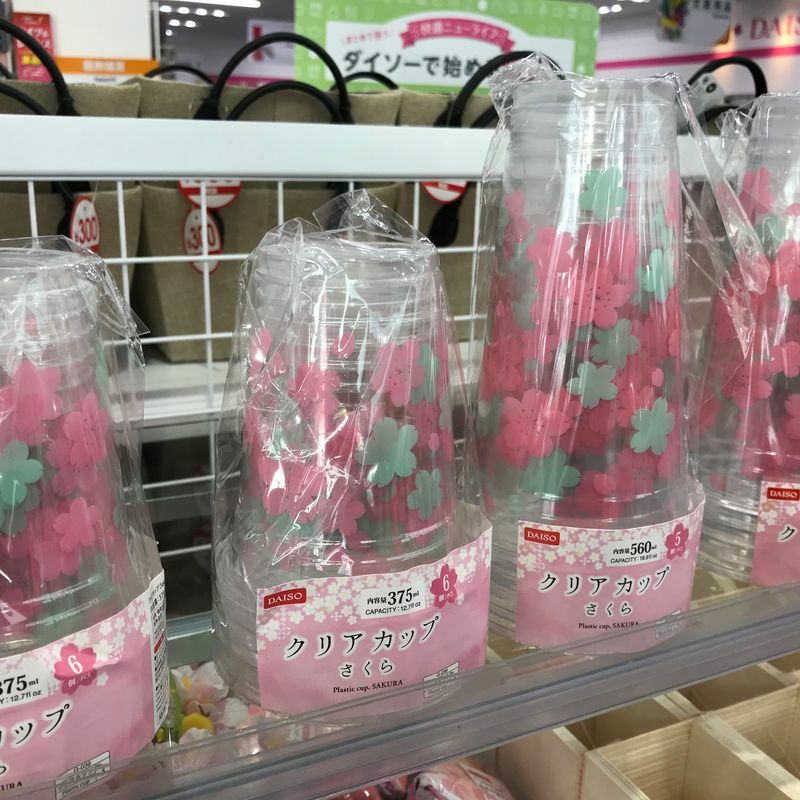 They had pre made ones, or options to DIY with either paper or fake sakura flowers as well. 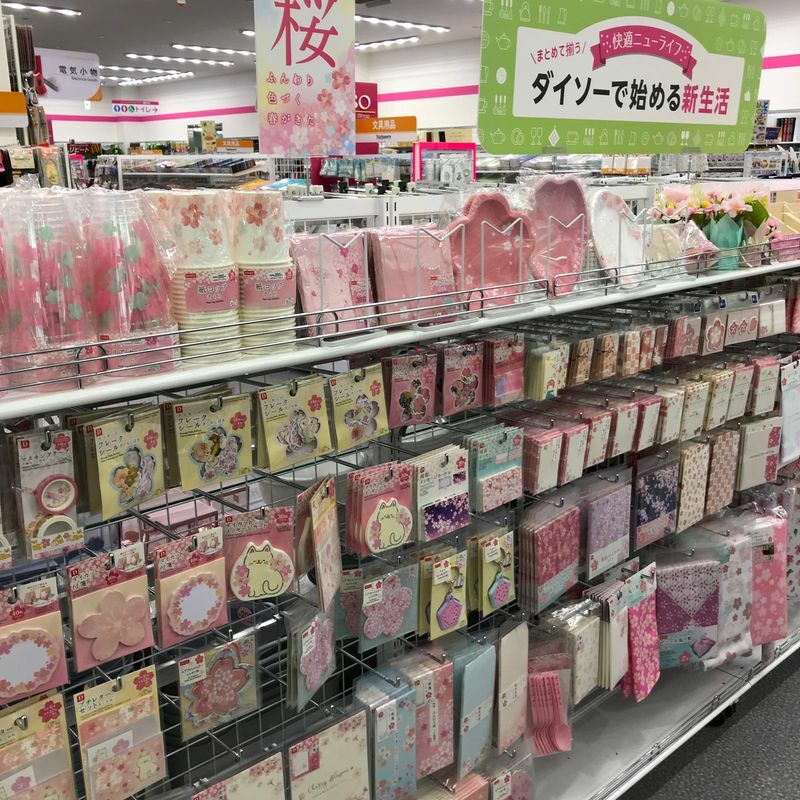 And hey, if you're stuck in the office for sakura season and don't have any hanami party plans, perhaps this notepad will have you in the spirit from a distance. I loved the sandwich boxes they had last year! I am thinking of buying these for the few days while we move. 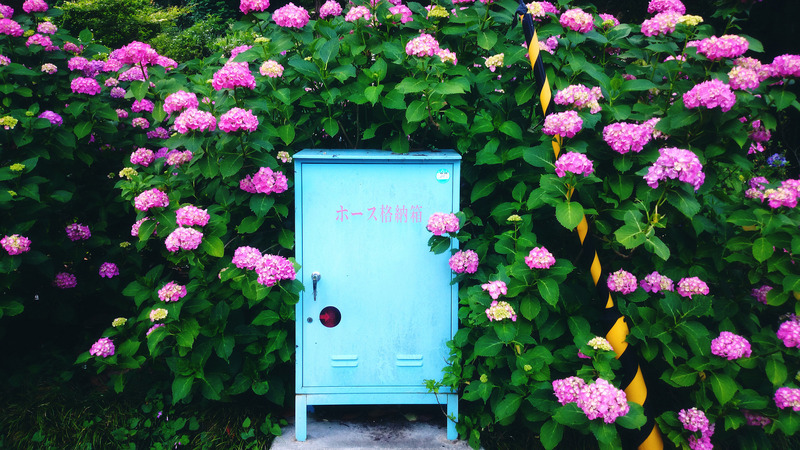 This really makes me want to picnic. 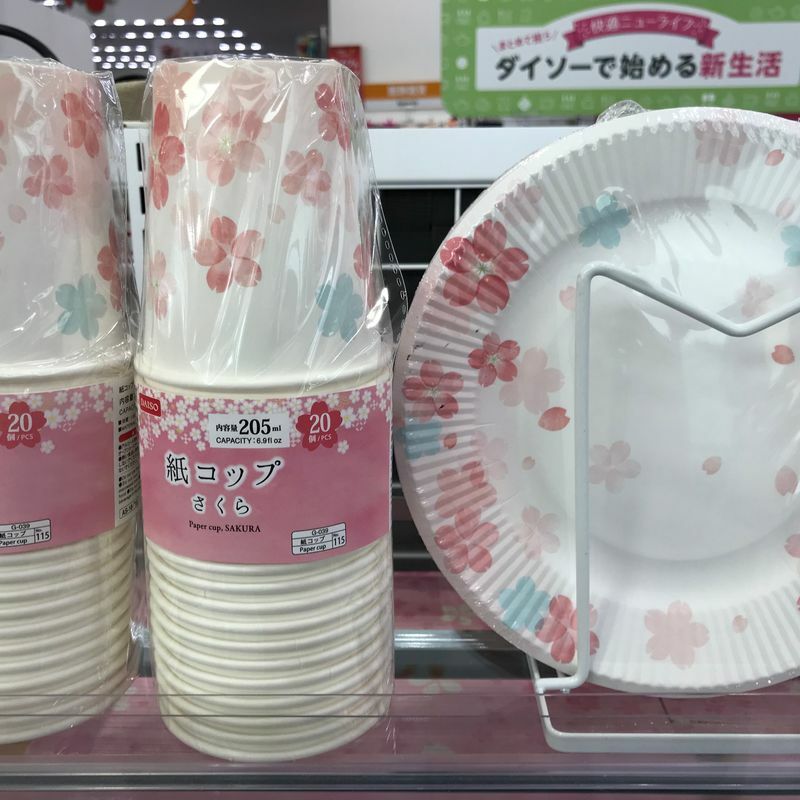 I know these designs are cuter... but I'll just use my plain white paper cups (50 for 100 yen) & decorate them with the tape or markers I already have. Or use non-disposable stuff instead. We're still about a week away from blooming here, but I'm getting excited (and the allergies have started for sure)! 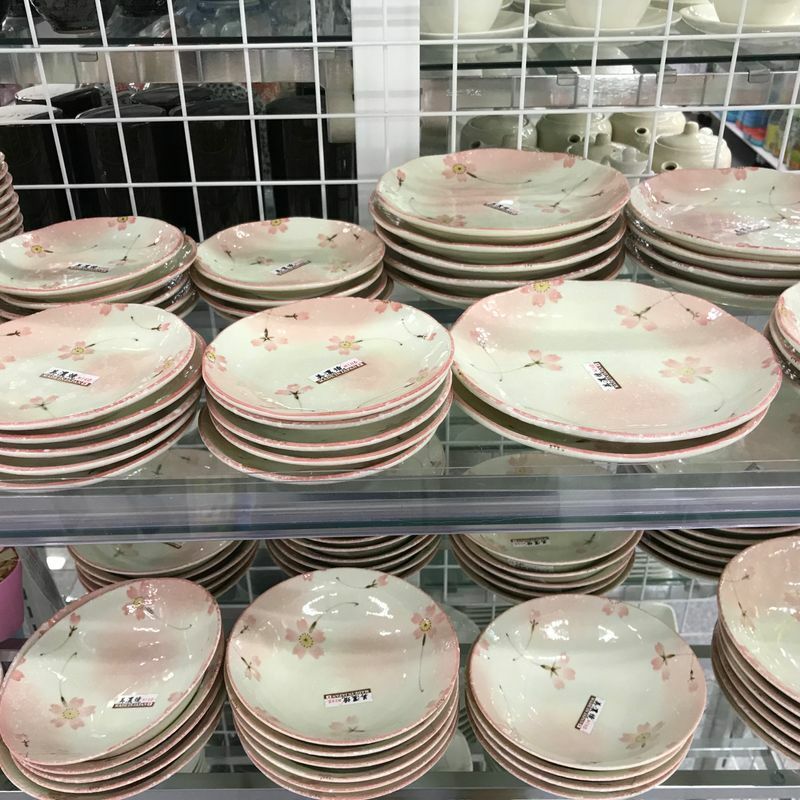 @helloalissa plain plates are no biggie...the true beauty is the blossoms anyway! and hey i'm always an advocate for using up what you have!